The Deluxe Insulated Bib Overalls are summarized best with the words; "comfort," "convenience," "durability" & "versatility." These bibs have triple-needle stitched main seams, all stress points reinforced with bartacks, stitched waistband with elastic inserts, two reinforced hip pockets (the left with a tough brass zipper) and reinforced knees. For added versatility, we've included two deep front pockets (one with a convenient pencil slot), adjustable leg snaps, adjustable elasticized straps, an extra tool pocket, two swing pockets and a tape measure loop. What's more, our insulated "High Back" design is insulated to the top for maximum warmth. 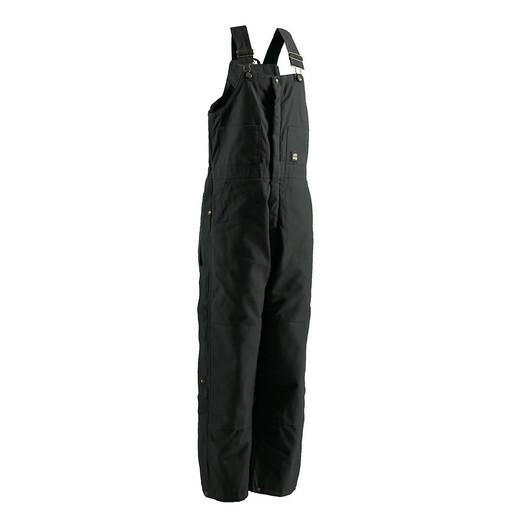 Finally, our Deluxe Insulated Bib Overalls feature a generous brass leg zipper that runs from the lower hip to the bottom of the leg and is covered with an outside storm flap with snap closures.